Okanagan Hockey Group Inc. (“OHG”) offers an Academy program to youth’s between the ages of 14-18 (“Academy”) and a camp program designed for all levels of players from ages 5-15 years old (“Camp”). As data controller of the personal data that we collect from individuals involved in Okanagan UK, we are responsible for making sure that our systems, processes and people comply with the relevant data protection laws in respect of that personal data. We collect names, addresses, email and telephone contact details for all our players. Where those players are under the age of eighteen, we collect their names and addresses and their parents’ names, addresses and contact details. All attending children or young people under the age of eighteen are accepted only with the authorisation (signed in writing) of the parent and the parent therefore consents to their child becoming a member of the Okanagan Hockey School and explicitly permits the sharing of the child’s data with us for the purposes of registering the attendee. This information may include details of any access or dietary requirements that you or a child or young person in your care may have, which may reveal information about the health or religious beliefs of the data subject. We may collect and use other special categories of personal data as required in the carrying out of obligations and exercising specific rights of us or the data subject, in our case this may be for the safety of the child member, taking part in the Okanagan Hockey activities or training sessions. This may include information relating to your health, racial origin, religious belief and offences or alleged offences. We will use the personal data for the necessary administration of our academy attendees, and to contact members by email or telephone or to contact parents or adults with parental responsibility in relation to their child. We may use the personal data to comply with requirements that we are legally required or recommended to undertake, such as monitoring the health of individual children to ensure their safety. We may share personal data with third party providers who deliver services to support the operation of our academy as well as with first responders, such as paramedics, or health services in the event of injury or illness to a child in our care. We may also need to share your personal data with a government body, in relation to sports or social services or otherwise to comply with the law. provided, or where we have another legitimate interest in doing so, and we will ensure that the personal data is appropriately protected. We will keep personal data only for as long as is necessary to fulfil the purposes for which we collected it, including for the purposes of satisfying any legal or reporting requirements. We update our databases once every year to ensure they are accurate and up to date and to add new members and remove those who leave. We collect names, addresses, email and telephone contact details for all our attendees. Where those attendees are under the age of eighteen, we collect their names and addresses and their parents’ names, addresses and contact details. 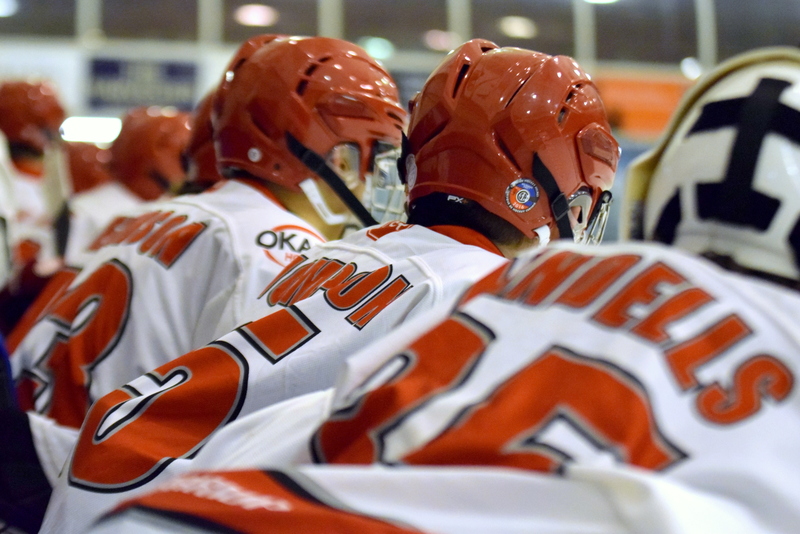 All attending children or young people under the age of eighteen are accepted only with the authorisation (signed in writing) of the parent and the parent therefore consents to their child becoming a member of the Okanagan Hockey School and explicitly permits the sharing of the child’s data with us for the purposes of registering the attendee. We will use the personal data for the necessary administration of our club membership, and to contact members by email or telephone or to contact parents or adults with parental responsibility in relation to their child. We may use the personal data to comply with requirements that we are legally required or recommended to undertake, such as monitoring the health of individual children to ensure their safety. We may share personal data with third party providers who deliver services to support the operation of our club as well as with first responders, such as paramedics, or health services in the event of injury or illness to a child in our care. We may also need to share your personal data with a government body, in relation to sports or social services or otherwise to comply with the law. We will keep personal data only for as long as is necessary to fulfil the purposes for which we collected it, including for the purposes of satisfying any legal or reporting requirements. We update our databases once every year to ensure they are accurate and up to date and to add new members and removes those who leave. In respect of events that we offer, this information may include details of any access or dietary requirements that you or a child or young person in your care may have, which may reveal information about the health or religious beliefs of a data subject. We will collect personal data with your consent, when you tell us that you wish to receive information and updates about the club, any matches or tournaments, or otherwise give us your personal details. You may at any time tell us that you wish to stop receiving our Information. Personal data will be used to provide you with Information that you ask for, or that we think are relevant. We will hold and manage your data ourselves and do not use a third party in respect of the provision of our Information. In respect of all disclosures of personal data, we will only share the personal information which is necessary for the particular purpose for which it is provided, or where we have another legitimate interest in doing so, and we will ensure that the personal data is appropriately protected. We will keep personal data only for as long as is necessary to fulfil the purposes for which we collected it. Any personal data that we have from you solely for the purposes of your receiving our Information will not be used once you have asked us to stop providing these to you (except to the extent that it is necessary to stop you receiving the Information) – you may contact us at any time to tell us you no longer want to receive the information. We have put in place measures to prevent your personal data from being accidentally lost, used or accessed in an unauthorised way, or altered or disclosed. In addition, we limit access to your personal data to those of our people and other third parties who have a business need to know. They will only process your personal data on our instructions and where they have agreed to treat the information confidentially and to keep it secure. We have put in place procedures to deal with any suspected data security breach and will notify you and the ICO of a suspected breach where we are legally required to do so. We use secure sites, where secure login is required, to ensure your data is safe. As a member of the Okanagan UK Academy and Camps you consent to being photographed, filmed and/or sound recorded for the broadcast & publication, without payment. You may request for a photo, video and/or audio recording to be removed from any site if you so desire and we will remove quickly. We will securely store your data.